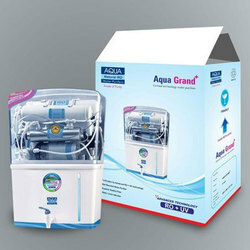 So as to cater to the increasing demands of our customers we are putting across best series of TS Aqua Water Purifier. We have marked a unique position in the domain by offering a wide gamut of RO Water Purifier to our respected customers. The offered purifiers are designed using high-grade materials and innovative technology. - Fully Automatic operation with water level cut-off and Auto-start / Auto/off. Flow Rate- 8 to 10 Ltr./ Hrs. 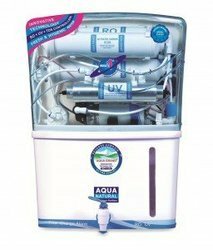 To furnish the varying desires of our customers, we are immersed in offering a world class consignment of Aqua Grand Water Purifier.